A real ninja doesn't need any special gear to do their job. All they need are their bare hands, some shadows to sneak around in, and a mission to carry out. Of course, if they happen to bring any special weapons or gear along for the ride, it will just make them an even deadlier warrior! We don't want to tell you how to "ninja," but if you're putting together a sneaky costume to wear to a party, this Ninja Headpiece is definitely worth adding to it. This black cover may seem like a simple shroud, but looks can be deceiving. 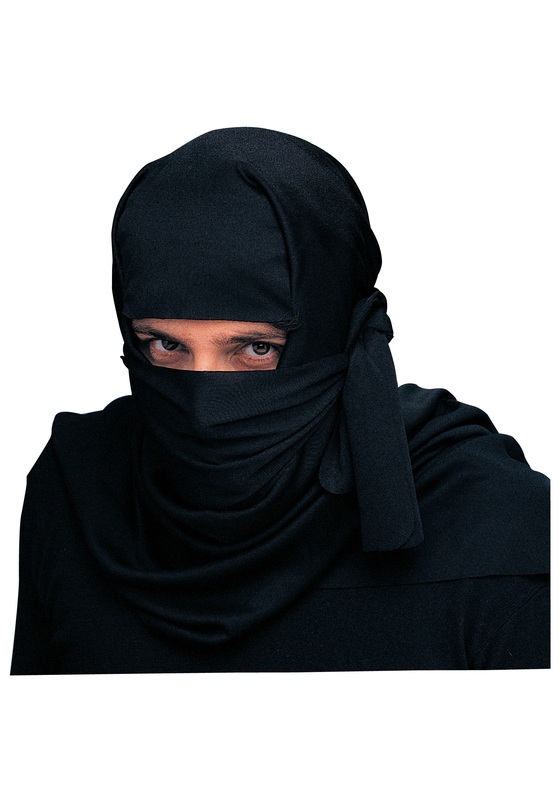 What this mask actually does for the true ninja assassin is make them mysterious, and there are few things more intimidating than a mysterious ninja! You can also wear it when you're not on a covert mission. We're sure your coworkers seeing you dart around the office in a ninja mask would lead to some interesting looks. I thought this was a one piece pullover. It was in 2 pieces with no instructions on how to put together. I tied it the best I could and it constantly moved around where my son could not see. Try to have fun when you are constantly fiddling around with it.